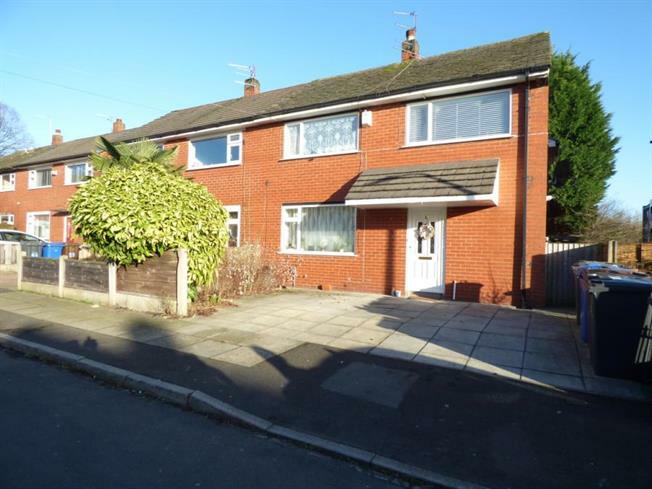 3 Bedroom Semi Detached House For Sale in Bury for Guide Price £150,000. Entwistle Green are pleased to offer for sale this double storey extended semi-detached family home located within the Goshen area of Bury. Briefly comprising of entrance hall, spacious lounge, dining room and large modern kitchen, separate utility room, three double bedrooms and a modern family bathroom. Externally the property offers an attractive private rear garden and a driveway to the front. Well situated for local amenities and close to Bury Town centre with easy access to the motorway networks. The property is in excellent condition throughout and is available with no onward chain. Further benefits include gas central heating and double glazing throughout.